April 25th is World Penguin Day, a day in which we celebrate the 18 known species of penguin and focus on their conservation. It is celebrated on this day because the annual northward migration of penguins is usually on or around April 25th. Penguins only live in regions south of the Equator, in areas ranging from the cold continent of Antarctica to the warm lands of the Galápagos Islands. Today's selections celebrate this popular flightless bird. 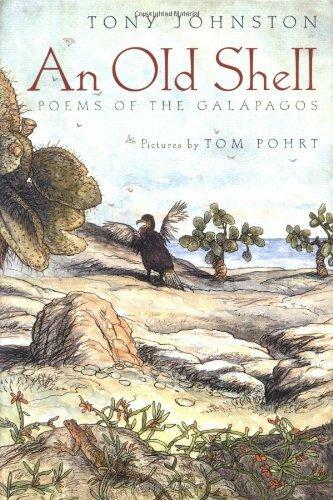 An Old Shell: Poems of the Galapagos (1999), written by Tony Johnston and illustrated by Tom Pohrt, is a collection of 34 poems (most written in free verse, though a few are written in haiku) in which Johnston pays tribute to the wonder that is the Galapagos. The book opens with a two-page map of the islands. 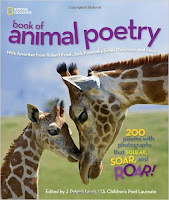 The poem topics include the sea, the islands, animals, plants, and more. Poem ©Tony Johnston, 1999. All rights reserved. Eric Carle's Animals, Animal (1989), compiled by Laura Whipple and illustrated by Eric Carle, is a collection of 62 poems about more than 70 different kinds of animals, from ant to yak. 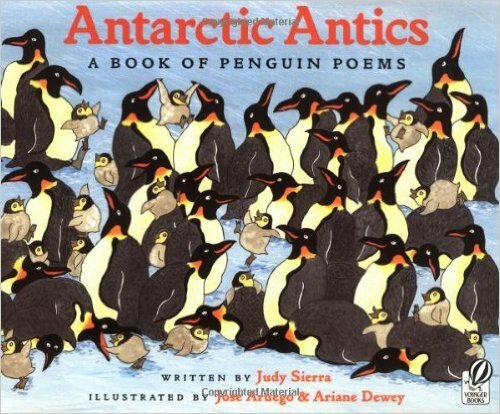 These poems come from authors and poets as varied as Emily Dickinson, Edward Lear, Eve Merriam, Rudyard Kipling, Benjamin Franklin, Lewis Carroll, Karla Kuskin, Judith Viorst, and many, many others. 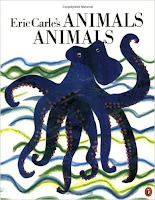 The poems are accompanied by brightly colored, exuberant illustrations by Eric Carle. 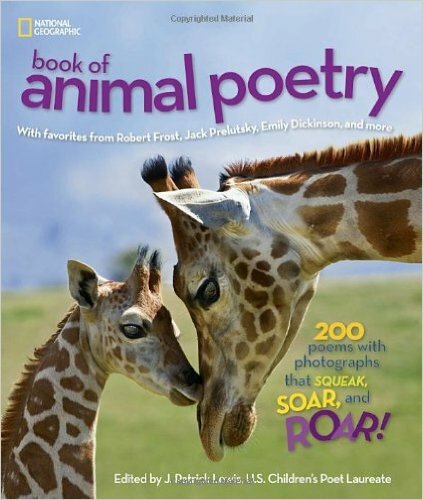 It concludes with an index of animals arranged alphabetically, as well as an index of first lines. Poem ©Lucy W. Rhu. All rights reserved. 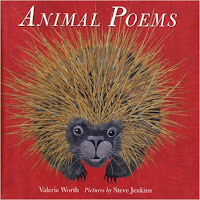 Animal Poems (2007), written by Valerie Worth and illustrated by Steve Jenkins, is a posthumously published collection of 23 poems that highlight Worth's keen sense of observation. Animals range from small to large and simple to complex. 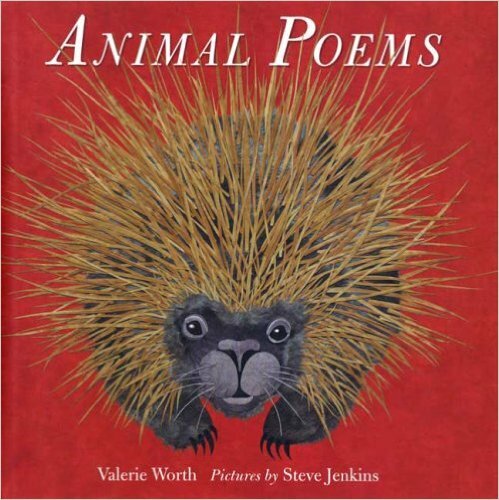 You will find poems about jellyfish, cockroaches, kangaroos, elephants, minnows, and more. They are all accompanied by Jenkins' amazingly beautiful cut- and torn-paper collages. Poem ©Valerie Worth. All rights reserved. 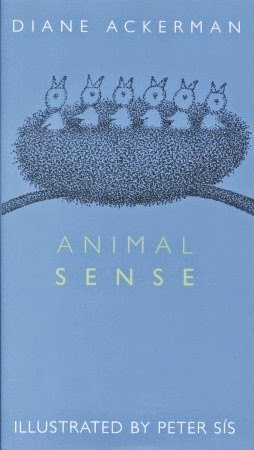 Animal Sense (2003), written by Diane Ackerman and illustrated by Peter Sís, explores the ways that animals navigate the world using their senses. The poems are funny and clever and occasionally include made-up words. Organized into sections for touch, hearing, vision, smell, and taste, three different animals are highlighted in each. Here's the first poem from the section on touch. for their next of kin. "I need wings to snooze in." the air plunges to 40 below. Poem © Diane Ackerman, 2003. All rights reserved. 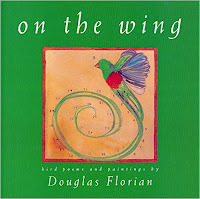 On the Wing: Bird Poems and Paintings (1996), written and illustrated by Douglas Florian, is a collection of art and poetry that examines 21 birds with witty word play and a keen sense of observation. Poem ©Douglas Florian, 1996. All rights reserved. 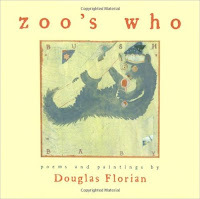 zoo's who (2005), written and illustrated by Douglas Florian, is a collection of 21 poems and paintings on a variety of animals, including the bush baby, tortoise, ladybugs, slugs and more. A penguin isn't thin—it's fat. 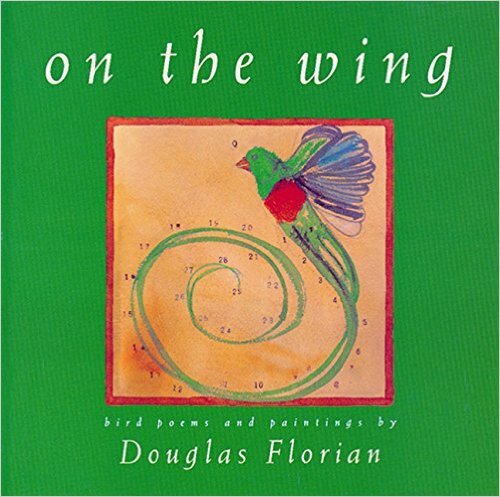 Poem ©Douglas Florian, 2005. All rights reserved. Poem ©Charles Ghigna. All rights reserved. 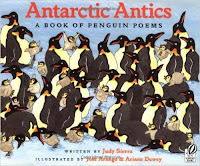 Antarctic Antics: A Book of Penguin Poems (1998), written by Judy Sierra and illustrated by Jose Aruego and Ariane Dewey, is a collection devoted entirely to the lives and habitats of emperor penguins. It begins with the hatching of a new penguin and comes full circle with the grown penguin finding a mate and new chicks being hatched. Who want us for meals. And climb out in a pack . . . .
As we watch the sun set. Poem ©Judy Sierra, 1998. All rights reserved. 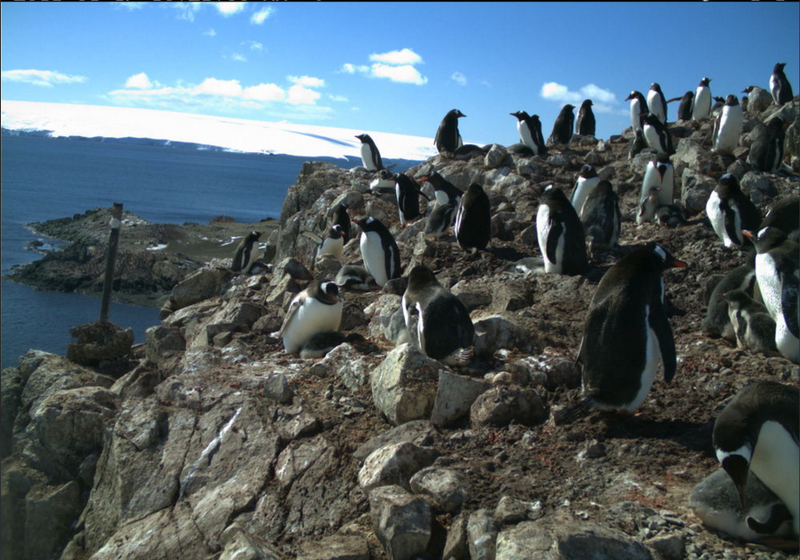 If you want to combine poetry with a bit of citizen science, check out Penguin Watch and get involved in counting penguins in images taken by remote cameras monitoring nearly 100 colonies in Antarctica. 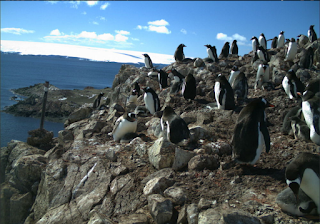 Here's a screenshot I took of a recent penguin count I worked on. Can you find the chicks? That's it for today. I hope you'll join me tomorrow for our next celebration.